10 years after he stopped living as a woman, this transgender man was shocked to discover he was pregnant. 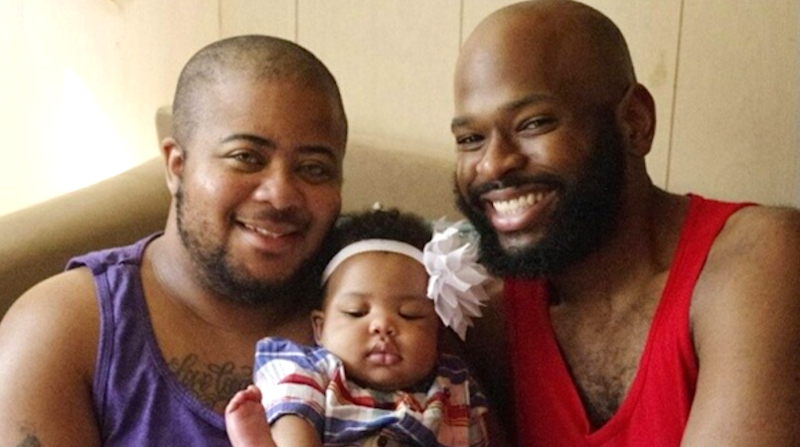 Kayden Coleman is a transgender man who had been transitioning for over ten years when he discovered he was pregnant. For five of those years he'd been taking testosterone, so he thought pregnancy was impossible. One night Kayden was feeling some bloat and back pain, and joked with his partner Elijah that maybe he had a bun in the oven. They laughed and then like 20 seconds later were at the drug store getting a pregnancy test. Kayden later had it confirmed with a doctor—he was already 21 weeks along! It was tough. Kayden had postnatal depression for about a year. I wasn’t around much and we don’t have family nearby, so it was really hard. People who say it’s a joy are either lying or they have a lot of help from family...It must have been difficult hearing that your son’s boyfriend was pregnant, I don’t deny that. But I felt like there were some unkind comments and I didn’t appreciate that. She is an awesome kid. Very well-mannered. She’s very sensitive but also very much like both of us. Her favorite word is, ‘No!’ I don’t feel like we should have been parents all along but I feel like we are great parents now.